www.discoverneedham.com see local Arts and Entertainment, Fun for Kids & Families, Needham School Calendars, Annual Events and Outdoor Experiences ! 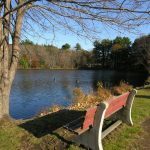 If you have more questions about Needham, or about any of the surrounding towns, please call anytime. I look forward to hearing from you!